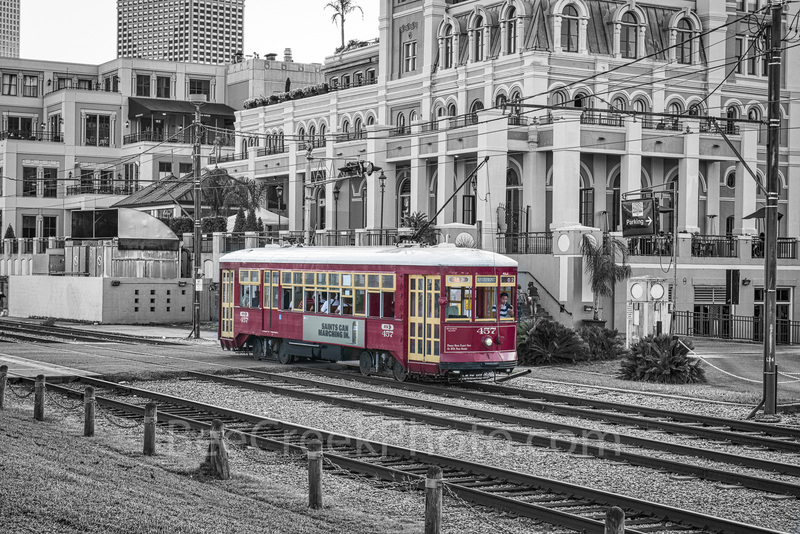 Street Car in New Orleans BW - Took this image of the New Orleans red street car out side of the Jackson Brewery taking passenger to their destination in the city in black and white. This is one of those images that looks better in black and white but couldn't give up this colorful street cars in this capture. Photo © copyright by Bee Creek Photography - Tod Grubbs / Cynthia Hestand.